Looks good I like it! Your a good artist! ITS FREAKING AWESOME! 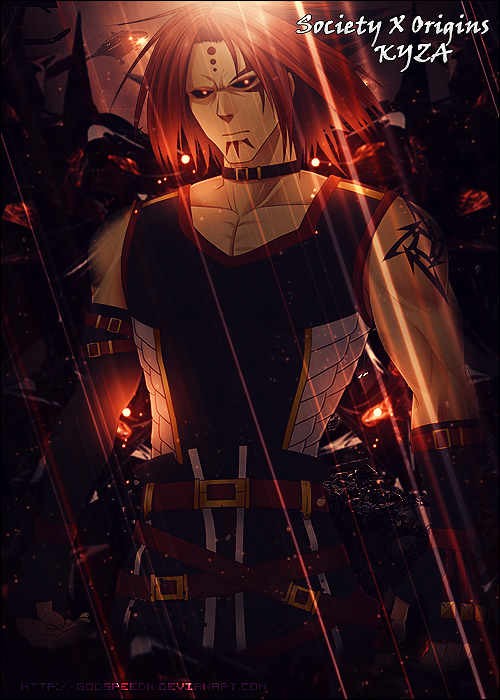 Not only because his name is Crow, but also because it looks really nice. Your lines are clean, it doesn't look like you did much erasing or anything. 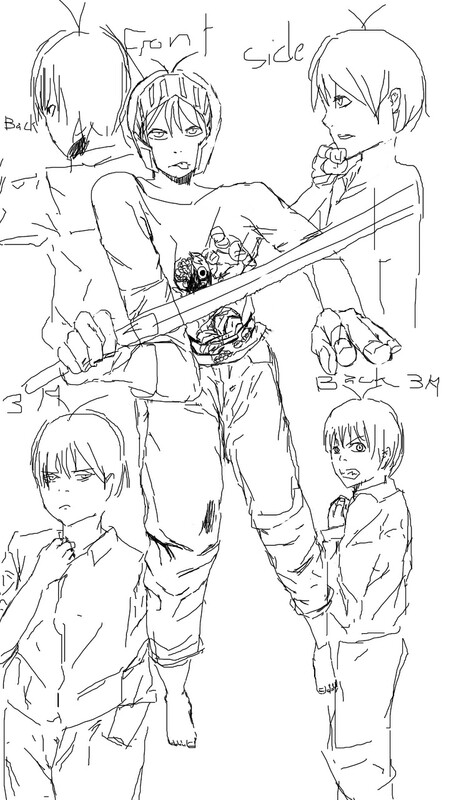 Was it a side by side drawing? Zelgadis Greywords from The Slayers. Danny Fenton from Danny Phantom. Well now look at this gallery here... come a long way since then, and it hasn't even been that long. 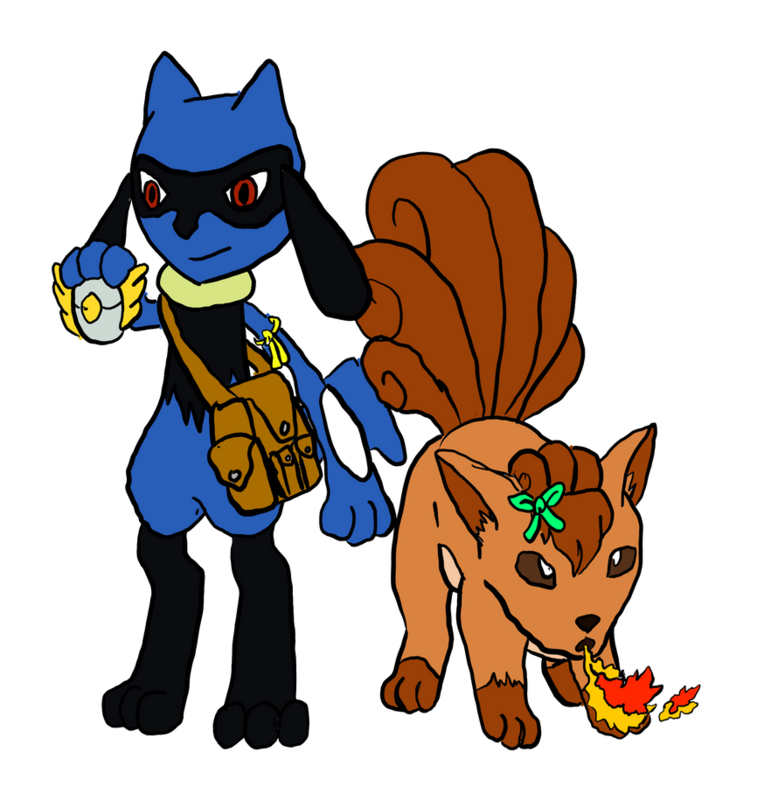 Me (Robin the Vulpix) and my partner (Rian the Riolu) from the game POKEMON Mystery Dungeon : Explorers of Sky. It is surprisingly hard to draw Pokemon, especially when drawing them in a different pose than the reference picture. I was surprised about Zelgadis from Slayers, I watched it a while ago and didn't think many other people watched it. Season 3 was my favorite, how about yours? My first time using a tablet and Manga Studio 5. I asked this on DA... what kind of Pokeball is that? It's the Rescue Team Badge (from POKEMON Mystery Dungeon : Explorers of Sky), not a pokeball. 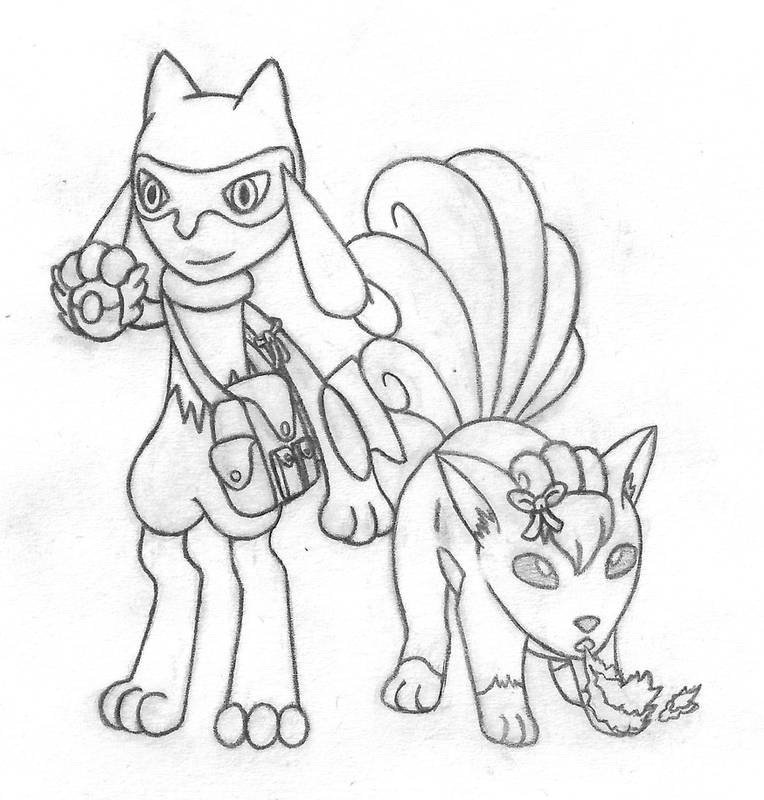 Just a quick sketch of a Explorers of Sky fan art.